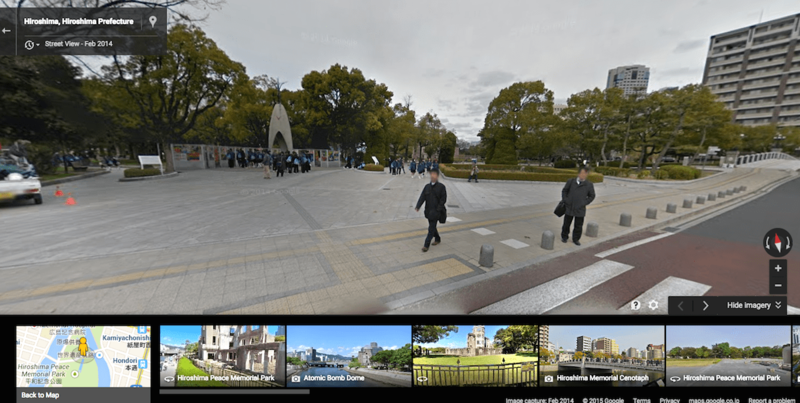 Hiroshima’s Peace Memorial Park is one of the most visited places in Asia on Google Street View says a post, The world’s virtual tourists rush to Japan, on Google’s Asia Pacific blog. 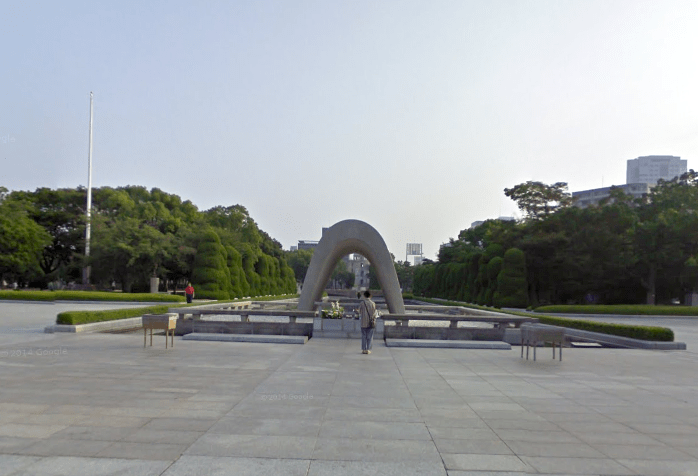 Although the post doesn’t give numbers or detailed rankings, it says that Japan is “emerging as Asia’s leader when it comes to online visitors.” Hiroshima’s Peace Memorial Park is one of the ten Japan locations featured. Although the images of and from the public roads around the Park are from just over a year ago, those from within the park (which seem to have been shot early in the morning) date from August 2010. You can make out the floodlights of the old baseball stadium across behind the A-bomb Dome. As well as the A-bomb Dome and the cenotaph, there is a good view of a crowd of school kids visiting the Children’s Memorial. While it is understandable that the Peace Memorial Park is Hiroshima’s most viewed location, my personal favorite Hiroshima “street view” is still the inside of the Mazda Museum. Along with Hiroshima’s Peace Memorial Park, Japan’s other top virtual destinations include some surprising locations. Three that stand out are the summit of Mt Fuji, the desolation of the tsunami-affected Tohoku coast and Hashima Island, aka “Gunkanjima” which was featured in the James Bond adventure Skyfall. Taking a boat along the Dotonbori canal in Osaka is pretty cool and, still in Osaka, nosing around Umeda Station‘s concourse among the ghostlike commuters is strangely compelling. Other locations popular with desktop tourists are Yokohama’s waterfront, Yufuin in Oita prefecture and, the inside of a Tokyo hotel. 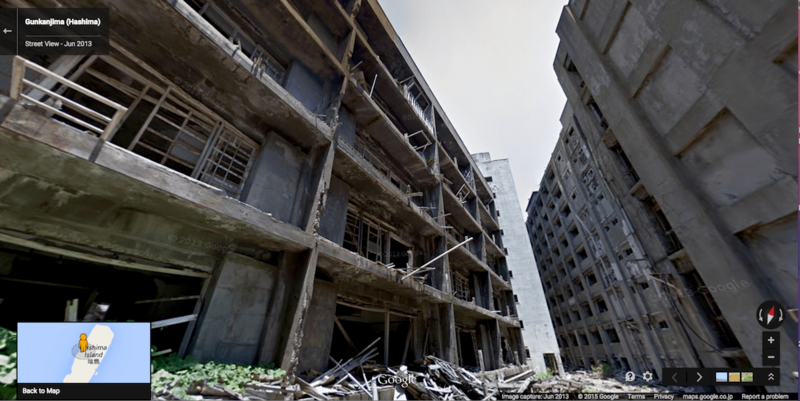 Check out some much-searched street view destinations in Asia on the map below.